I can’t believe a year has already gone by since I ran my first official 10k race and here I was back to run the same race again on Monday. This race is unlike any other in this area or in the US for that matter, because, it is for made for women only. 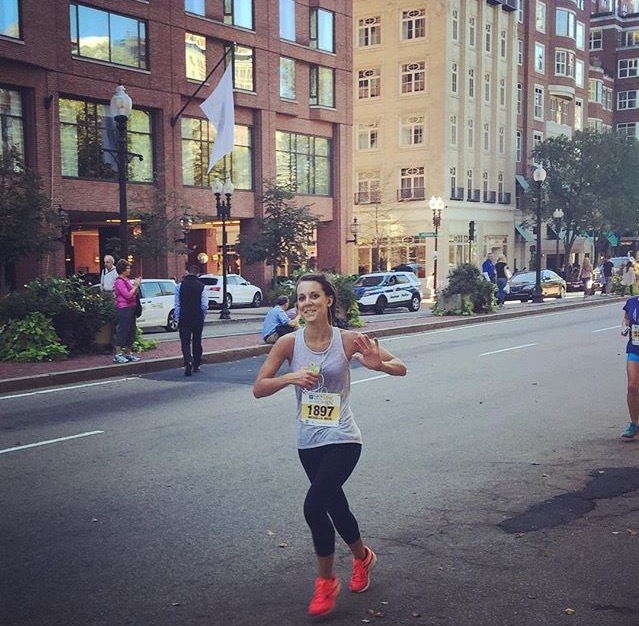 Each year between 8 and 10 thousand women come together to run 6.3 scenic miles around the Charles River and end back in the beautiful Boston Common where we started. The atmosphere and feeling you get before, during, and after this race is so empowering – the race brings women of all kinds from beginners to Olympians looking to break records. 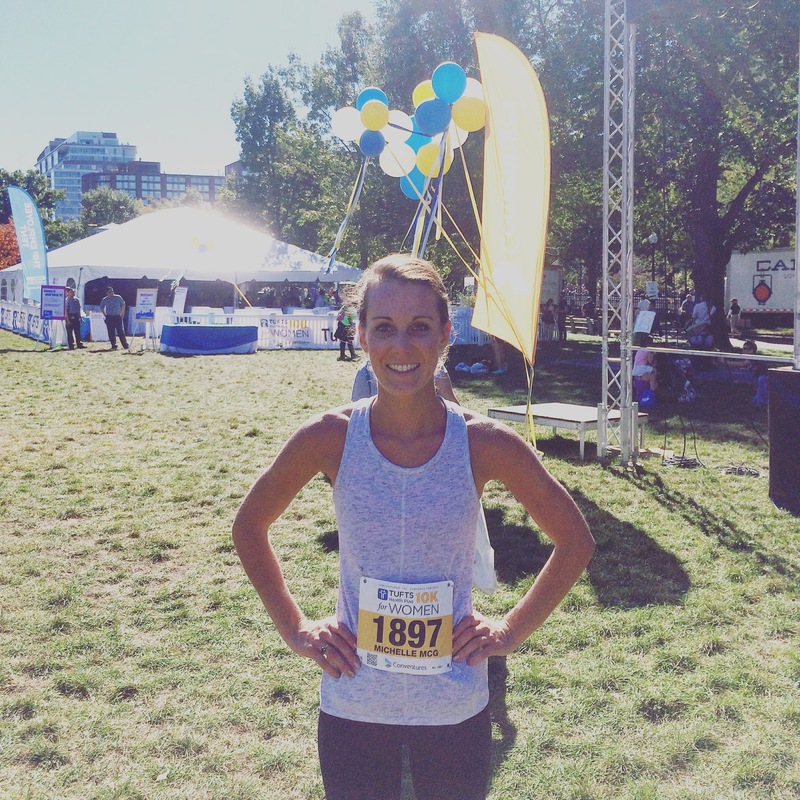 The race this year was not my favorite race experience – the weather spiked to close to 80 degrees (not typical for a fall race) which made the 10k a little more brutal than I was expecting. I finished in 47 min – a little longer than last year but I will take it considering! Post race I was greeted by my awesome sister who walked around the Common with me – collecting lots of free samples and goodies from all the sponsors. Her and I then walked down Boylston to grab a quick lunch together at Flour Bakery & Cafe – a sweet potato, kale, pesto, apple and goat cheese sandwich (which really hit the spot ) – before I headed home. 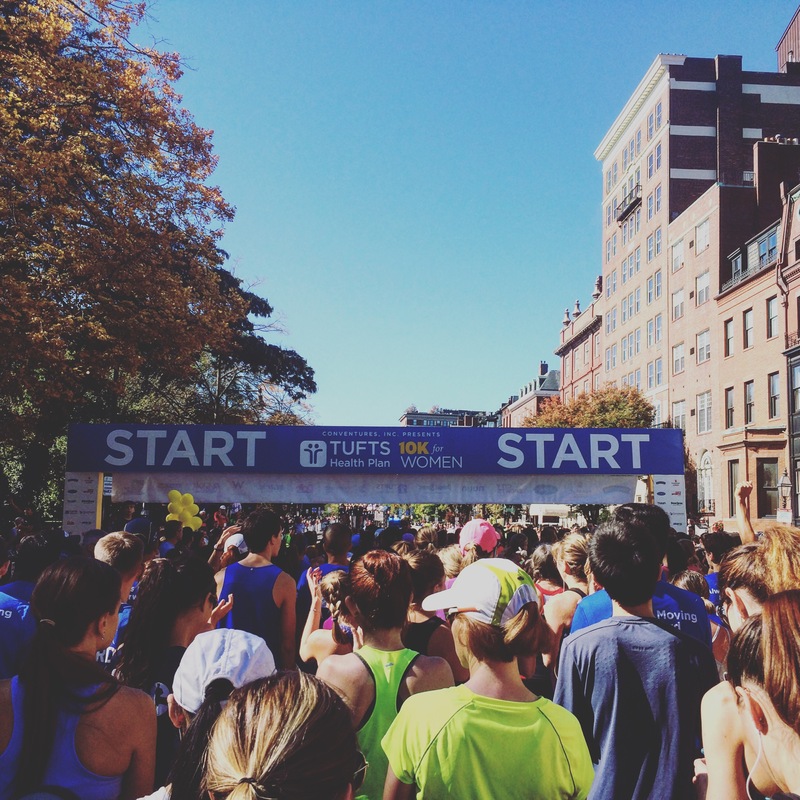 All in all the Tufts 10k for Women was a success yet again. I can’t say enough great things about this race – the empowerment and positivism that radiates from 10,000 women is incomparable and something I will continue to be a part of year after year. Next Post Behind the Scenes at Thirst Juice Co.
That sounds like a great race! And a good timing overall for being hotter than a normal fall day. I will have to look into it as I didn’t know there was such a race for just women. Looks like a ton of fun! Yes definitely – it is one of the best races – I love being a part of it! !